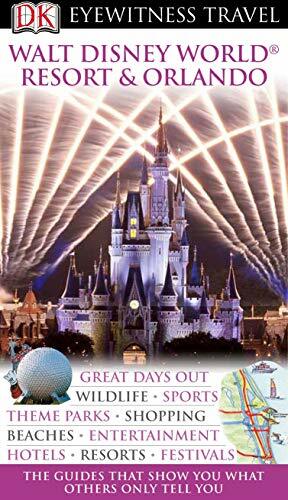 The DK Eyewitness Walt Disney World Resort & Orlando travel guide will lead you straight to the best attractions Walt Disney World and Orlando have to offer. Fully illustrated with coverage of all the major attractions from theme parks to shuttle launches, year-round festivals to speedcar racing seasons. The guide provides all the insider tips every visitor needs, whether you're experiencing the magic of Seaworld and the Kennedy Space centre or facing your fears on some of the greatest rides in the world, with comprehensive listings of the best resort hotels, restaurants, shopping and nightlife for all budgets. You'll find 3D cutaways and floorplans for all the must-see sites including the Space Shuttle and Universal City, and with street maps of major resort centres plus reliable information about getting from place to place, the DK Eyewitness Walt Disney World Resort & Orlando travel guide explores all the sights and wonders to be found in this fun-filled family destination.The DK Eyewitness Walt Disney World Resort & Orlando travel guide is your essential companion.